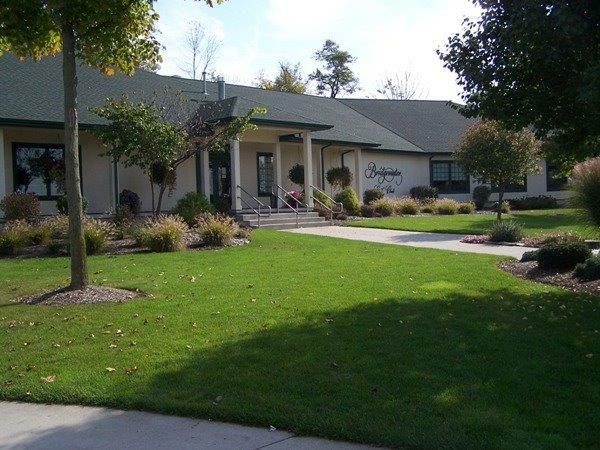 Visit Bridgewater, Northeast Indiana's premier public golfing facility featuring 18 championship holes and the region's finest practice facility. Five sets of tees allows players to choose yardage that best suits their playing ability. Memberships are available and the Pro Shop is open daily with two PGA golf professionals on site who are available for group or individual instruction. Experience one of the best restaurants in Northeast Indiana. Bridgewater Golf Club has been recognized as a top restaurant in the area with exceptional reviews from area newspapers. The head chef has developed a menu that includes succulent cuisine such as hand-cut steaks, fresh seafood and featured specials. They also offer the best wine list in Northeast Indiana and an outstanding martini list. The Bridgewater Grille (ages 21+) offers a relaxed and casual atmosphere for your lunch and dinner needs. Situated next to the 18th hole, guests will enjoy a beautiful view of the pond and fountains while enjoying their meal. There are four large screen TVs with seating for up to 40 people including the bar seating. A full bar is located in the Grille serving all of your favorite alcoholic & non-alcoholic beverages. The Water's Edge is their traditional dining room that is open to everyone. It offers more of a quiet and intimate experience than the Grille. The dining room is connected to the patio area to take advantage of the warm summer nights with outside dining. Banquet facilities accommodate up to 175 guests.